Goddard College’s recent decision to have its students addressed from prison by a convicted cop killer is just one of many unbelievably irresponsible self-indulgences by “educators” in our schools and colleges. Such “educators” teach minorities born with an incredibly valuable windfall gain — American citizenship — that they are victims who have a grievance against people today who have done nothing to them, because of what other people did in other times. If those individuals who feel aggrieved could sell their American citizenship to eager buyers from around the world and leave, everybody would probably be better off. Those who leave would get not only a substantial sum of money — probably $100,000 or more — they would also get a valuable dose of reality elsewhere. Nothing is easier than to prove that America, or any other society of human beings, is far from being the perfect gem that any of us can conjure up in our imagination. But, when you look around the world today or look back through history, you can get a very painfully sobering sense of what a challenge it can be in the real world to maintain even common decency among human beings. Living just one year in the Middle East would be an education in reality that could obliterate years of indoctrination in grievances that passes for education in too many of our schools, colleges and universities. You could go on to get a postgraduate education in reality in some place like North Korea. If you prefer to get your education in the comfort of a library, rather than in person amid the horrors, you might study the history of the sadistic massacres of the Armenians in the Ottoman Empire or the heart-wrenching story of Stalin’s man-made 1930s famine in the Soviet Union that killed as many millions of people as Hitler’s Holocaust did in the 1940s. Mao’s man-made famine in China killed more people than the Soviet famine and the Nazi Holocaust combined. And we should not deny their rightful place in history’s chamber of horrors to the 1970s Cambodian dehumanization and slaughters that killed off at least a quarter of the entire population of that country. What about slavery? Slavery certainly has its place among the horrors of humanity. But our “educators” today, along with the media, present a highly edited segment of the history of slavery. Those who have been through our schools and colleges, or who have seen our movies or television miniseries, may well come away thinking that slavery means white people enslaving black people. But slavery was a worldwide curse for thousands of years, as far back as recorded history goes. Over all that expanse of time and space, it is very unlikely that most slaves, or most slave owners, were either black or white. Slavery was common among the vast populations in Asia. Slavery was also common among the Polynesians, and the indigenous peoples of the Western Hemisphere enslaved other indigenous peoples before anyone on this side of the Atlantic had ever seen a European. In addition to the chilling picture that it paints of human nature, it means that Americans today — all Americans — are among the luckiest people who have ever inhabited this planet. Most Americans living in officially defined poverty today have such things as central air-conditioning, cable television, a microwave oven and a motor vehicle. A scholar who spent years studying Latin America said that what is defined as poverty in the United States today is upper middle class in Mexico. Do we still need to do better? Yes! Human beings all over the world are not even close to running out of room for improvement. There is so much knowledge and skills that need to be transmitted to the young that turning schools and colleges into indoctrination centers is a major and reckless disservice to them and to American society, which is vulnerable as all human societies have always been, especially those that are decent. 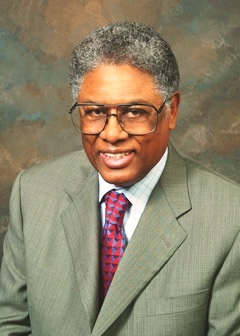 Thomas Sowell is a senior fellow at the Hoover Institution, Stanford University. His website is www.tsowell.com. The word “Slave” comes from “Slav”. That was where the Romans usually went to get their slaves, and they were white and European. In Latin slaves were called “servus”, from whence our word “servent” comes. I notice that ‘facts’ are stated, with nothing to back them up. More white slaves than blacks? Really? Show me the facts. Let me Google that for you…. idiot. Ottomans against Italians and Portuguese about (white slavery). Welcome to Encyclopædia Britannica’s Guide to Black History. Eric Dursteler (2006). Venetians in Constantinople: Nation, Identity, and Coexistence in the Early Modern Mediterranean. JHU Press. p. 72. ISBN 978-0-8018-8324-8. Fischer W. Alan (1978) The sale of slaves in the Ottoman Empire: Markets and state taxes on slave sales, some preliminary considerations. Bogazici Universitesi Dergisi, Beseri Bilimler – Humanities, vol. 6, pp. 150-151. Khalid, Abdallah (1977). The Liberation of Swahili from European Appropriation. East African Literature Bureau. p. 38. Retrieved 10 June 2014. Tinker, Keith L. (2012). The African Diaspora to the Bahamas: The Story of the Migration of People of African Descent to the Bahamas. FriesenPress. p. 9. ISBN 1460205545. Zilfi C. Madeline, Women and Slavery in the Late Ottoman Empire: The Design of Difference, Cambridge University Press, 2010, pp. 133, 139, 140, 196 etc. Michael N.M., Kappler M. & Gavriel E. (eds. ), Ottoman Cyprus, Otto Harrassowitz GmbH & Co., Wiesbaden, 2009, p. 168, 169. “Afro-Turks meet to celebrate Obama inauguration”. Today’s Zaman. Todayszaman.com. 20 January 2009. Retrieved 22 January 2009. See generally Jay Winik (2007), The Great Upheaval. Henry G. Spooner (1919). The American Journal of Urology and Sexology, Volume 15. The Grafton Press. p. 522. Retrieved 2011-01-11. Northwestern lancet, Volume 17. s.n. 1897. p. 467. Retrieved 2011-01-11. John O. Hunwick, Eve Troutt Powell (2002). The African diaspora in the Mediterranean lands of Islam. Markus Wiener Publishers. p. 100. ISBN 1-55876-275-2. Retrieved 2011-01-11. American Medical Association (1898). The Journal of the American Medical Association, Volume 30, Issues 1-13. American Medical Association. p. 176. Retrieved 2011-01-11. “Slavery in the Ottoman Empire”. See also the seminal writing on the subject by Egyptian Ottoman Ahmad Shafiq Pasha, who wrote the highly influential book “L’Esclavage au Point de vue Musulman.” (“Slavery from a Muslim Perspective”). George Young, Corps de Droit Ottoman. Clarendon Press, Oxford, 1905. Vol. II, pp. 166-206. Morgenthau Henry (1918) Ambassador Morgenthau’s Story, Garden City, N.Y, Doubleday, Page & Co., chapter 8. Available http://www.gwpda.org/wwi-www/morgenthau/MorgenTC.htm. Oh of course only this happening to the colored slaves was inhuman according to you. But my irish female ancestors who endured the same. As well as forced to mate with colored slaves to creat malato slaves. Well since they were not colored. No big deal right. If your apinion is not racist. Then there is no such thing. Oh of course only this happening to the colored slaves was inhuman according to you. But my irish female ancestors who endured the same. As well as forced to mate with colored slaves to creat malato slaves. Well since they were not colored. No big deal right. If your apinion is not racist. Then there is no such thing. You deny truth! I have never been on to use the race card, but as a black woman I find this article a “Bunch of Bull” I understand that many culture have have tragedies and have suffered but the treatment of “The Black Slaves” was inhuman and cruel. Black families were torn about, our culture stripped, we were not allowed to keep our native language, our women raped and forced to bear the children of the slave master (even if they were married women). I find it insulting to have it down played or compared to any other culture. Do I expect anything from anyone because of what happened to my ancestors? NO! but I demand that the truth about American Slavery continued to be told.